French companies doing business in the Czech Republic are focusing on changes related to this country’s impending EU membership. Chief among them is the issue of keeping up with the increased competition. A SORT OF CALM before the storm, that was the situation for major French players here last year. But the arrival of the Toyota Peugeot Citroen Automobile (TPCA) plant heralded a new inflow of French capital into the country. According to CzechInvest, the state agency supporting investment into the Czech Republic, the volume of expected investment in the automotive industry alone over the next few years (including the TPCA project) will amount to around EUR 1.14 billion. In comparison, the total of French direct investments in this country for all of 2002 has been EUR 400 million. Certainly not all of the investments and activity that stem from the French business community are new. Firms that have been operating here for years are also confirming and strengthening their position. By making the most of the know-how and capital background they have gained from their parent companies in France, they are bolstering their businesses to face the increased pressure that may result from the Czech Republic’s EU entry. Like many other international companies, French firms are seeking to minimize their costs, and are implementing information technologies in their solutions. The French strategy, however, has some extra innovations – among them, the most obvious of late has been in the areas of personalized marketing and specialization of products and services. ” An individualized approach to our clients has been very important to us,” says Petr Slabý, deputy director of marketing for Komerční banka. This trend became even more significant after Société Générale, a French bank known for innovations in this field, acquired Komerční banka. “We are creating and offering individualized banking products – packages for different groups of customers. These are not only tailored to the stage of a company’s ‘life cycle’, but are also relevant to their specialization – for example, to doctors or firms using franchising as a business model,” Slabý explains. The logic of offering personalized solutions is also apparent in the field of food-voucher distribution – a market currently controlled on a worldwide scale by three French entities: Accor Services, Sodexho Pass, and Cheque Déjeuner. Even in this seemingly uncomplicated segment, the trend is to offer packages, although these naturally take on a different form than those offered by banks. The employer (i.e., the client of the voucher company) receives “pre-packed” envelopes prepared for each employee that is on the food-voucher plan. Thus, the client’s time spent with administration and distribution is minimized. ” We have invested more than one million dollars into the new production line and printing machines,” says Guillaume Bertier, general director of Accor Services in the Czech Republic. “The process is very fast – the issued vouchers come back to us in few days time, and it has to be a very smooth operation,” he adds. Accor Services has approximately 270,000 users in the Czech Republic and a network consisting of about 20,000 restaurants. Following up on the success of this service, companies in the industry are seeking other ways to make vouchers function in other fields as well. Treating the customer as an individual is not only the domain of service-oriented industries. It is also part of the strategy of the production plant TPCA, a French-Japanese consortium that represents the biggest investment project in central Europe lately. “The small vehicle with the ‘working name’ of B-Zero will be produced in three styles – three different body designs with the same undercarriage,” explains Jean-Pierre Chantossel, executive director of TPCA. The Czech Republic was chosen as the host country for the ambitious project after one year of debate and negotiation for possible locations. Of a total EUR 1.3 billion, EUR 800 million will be invested locally – moreover, the majority of supplies will come from domestic Czech sources (see sidebar, left). However, Chantossel does not conceal that there are many established Japanese suppliers for Toyota and French ones for PSA Peugeot Citroen, which already have production facilities in the Czech Republic, as they will be able to respond to the TPCA’s “individual” needs most promptly. A certain number of the suppliers with an international background will merely adapt or increase their production capabilities. Examples of these flexible and responsive French firms include Valeo, a specialist in automotive air conditioning, and s.n.o.p., a producer of car parts. Others, like interior producer Lear or logistics operator Gefco, are establishing greenfield operations within the TPCA plant zone. Chantossel points out that there should be up to five companies joining the site near Kolín, and while their names have not been made public yet, the suppliers list has to be completed this summer. According to Martin Jahn, managing director of CzechInvest, the TPCA plant project was an enormous boon to promoting the Czech Republic in France. “We organized a promotional tour in France called ‘Czech Days’ that drew a lot of attention from the French business community,” says Jahn. 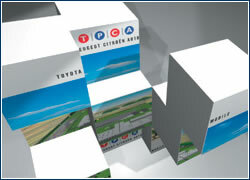 “I have to admit that if it was not for TPCA, the success would have been notably diminished. The main wave of French investments into the Czech Republic has not come yet. We expect more companies to follow,” he adds. On a 125-hectare plot in Kolín, the rough construction of a plant for a new model of small cars with the working name of B-Zero is nearing completion. Toyota Peugeot Citroen Automobile (TPCA), the result of a joint-venture of the Japanese automaker and its French partner, is investing a total of EUR 1.3 billion in the project, 800 million of which are earmarked for the Czech Republic alone. Production should begin in 2005, and in two years’ time the production line is expected to already be turning out around 100,000 new cars per year, with a total plant capacity of 300,000. Nearly 3,000 workers will be employed at the facility. The first 300 or so people should start this year, including 35 expatriates (26 Japanese and nine French). This is the first cooperation of such proportions between Toyota (which is charged mainly with production) and PSA Peugeot Citroen (in charge of sourcing and purchasing). The new compact car will be made in three versions, but the basic features should be the same in order to reduce costs. The cars should sell for about EUR 8,000. Of the roughly 150 suppliers, 70% will be from the Czech Republic (accounting for about 40% of the volume). Most of them have already closed contracts with TPCA, and agreements with the 20% remaining direct suppliers should be signed this summer. 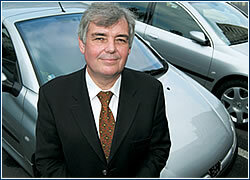 The list of suppliers includes such firms as Bosch and Valeo, and recently Lear, a seat and interior manufacturer. On Ovčáry, near Kolín, there will be an assembly line, a paint shop, a welding shop, and a test track. TPCA will import diesel engines from France, and gasoline engines and transmissions from Poland. Masatake Enomoto, TPCA’s president, and Jean-Pierre Chantossel, its executive director, both point out that TPCA chose the Czech Republic for its project because of its overall favorable conditions – the combination of infrastructure, work force, geographic location, and tax incentives. KOMERČNÍ BANKA adjusts its banking products according to the individual needs of customer groups. 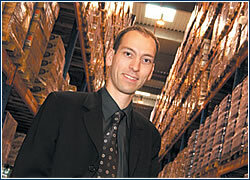 In 1997 it launched its so-called “packages strategy”, which it deepened and broadened in 2001, after it was purchased by Société Générale. A package is a set of services and products that, in the small firm segment (for example), combines maintaining an account, an overdraft option, direct banking, and credit card payments. Thanks to the bundling of products and services, the client gets faster and simpler service. Additionally, packages are launched with fixed prices, so they are more transparent for clients in terms of fees. “The ‘contents’ of product packages are adjusted to a firm’s developmental stage and to its country of residence,” says Petr Slabý, deputy marketing director for Komerční banka. “It’s impossible to just copy a model that was developed or exists somewhere else,” he adds. Packages for small and mid-sized firms are broken down by size of annual turnover, and an appropriate credit service comes with each package. “Packages were launched this April. Along with them we also introduced special ‘fast loans’ for this segment. 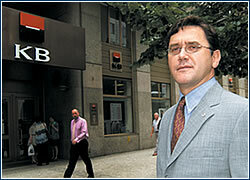 The number of loans extended has risen by 600% since then,” Slabý notes. The bank also created a specialized package, Optimum Medicum, for physicians and pharmacists, to which is linked a special credit that allows the bank to use money owed by doctors to Všeobecná zdravotní pojišťovna (General Health Insurance Company) as collateral. The bank is also preparing special packages for other segments, such as merchants and craftsmen. “Wholesalers and shop owners linked to them have a great need for circulating assets – i.e., inventories and outstanding debts. So it’s necessary to offer them a different approach to banking services than we would to manufacturing firms,” says Ivan Čopák, director of the Podnikatelé (Entrepreneurs) division. Spurred on by its new parent, Société Générale, Komerční banka launched a special approach to franchise financing in the second half of May. The bank is currently implementing a pilot project in which the cosmetics firm Yves Rocher will become its partner, Čopák adds. French developers don’t stop building hotels, even when the tourist industry is down due to catastrophes, natural or political. Instead, they seek synergies that help to minimize risk. Luxembourg plaza, a complex combining a luxury hotel and office space, is a good example. Local developer Orco Group will begin construction on the plaza site this summer, with total investment in the project reckoned at EUR 52 million. “It is the biggest project we are working on,” says Silvano Pedretti, co-president of Orco Group. “We want to promote the synergy between the hotel and the office space – office clients may represent five to twenty percent of the hotel occupancy, which would be especially good for the hotel in the beginning,” he observes. Another French company, Accor Hotels, is profiting from its affiliation with the Accor group, a worldwide leader in the hotel industry. “We exchange know-how between divisions and hotels, and we choose the same providers in order to save money and time,” explains Guillaume Bertier, general director of Accor Services, the division focused on food vouchers. 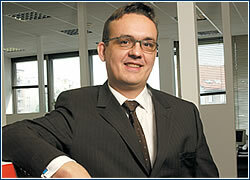 “Those synergies help us to face difficulties of the market,” adds Bertier. In addition to its established hotels in Prague – Novotel, Ibis Karlín and Mercure – a new Accor Hotels project is the Ibis in Smíchov, slated to open in 2004. While other industries are awaiting the entrance of the Czech Republic into the EU warily, not many in the real estate development segment expect much to change. 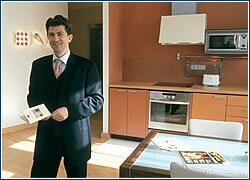 “In general we think that the Czech Republic’s EU membership will stimulate tourism to the EU, but not automatically. Prague and the rest of the country really need to improve and increase their marketing efforts,” says Bertier. Speculation concerning increased real estate prices may also be misleading. “I feel that in this country there is a velvet revolution for everything. There will be slow progress, not abrupt change,” Pedretti says. “If there is an opportunity to invest into real estate, maybe a few more foreigners will, but this has already been happening. I hope selling and buying will become easier,” he adds. Nevertheless, Orco isn’t waiting for gigantic European newcomers to come and claim their share. The firm is going for new acquisitions aggressively, as illustrated by its recent entry in the tender to acquire IPB Real’s portfolio. The logisticS services market in the Czech Republic is very competitive, and new companies will find entry without a customer base difficult, says Guilhem Vicaire of FM Česká, a daughter company of French FM Logistic. Thus new arrivals have been scarce – FM Česká itself entered the market back in 1996 with Ferrero, a confections producer. One exception is the French Gefco, which has traditionally worked for Peugeot and will thus become one of the providers of logistics solutions for TPCA. As manufacturers often hire only one company for managing shipments (warehousing, transport, and tracking the movement of goods), Gefco is hoping to get the lion’s share of the logistics business. Additionally, logistics companies often specialize in one particular area (i.e., car parts) so the fields of their activities are very clearly defined. Even the companies that are already established on the market must work hard in order to keep up with the changing needs of their customers. “Let’s look at developments in the retail sphere. Hypermarkets are becoming ever stronger, and they place completely different demands on comestibles firms. They require interconnectible and specialized IT systems,” Vicaire says. Certainly, a strong parent company with capital and know-how is a big advantage. “We profit from our connection with France. We can copy and import IT solutions from there, where they have developed them. This makes international operators like us stronger than the local ones,” he adds. Furthermore, the Czech Republic’s accession to the EU will bring new legislation that will require further investments by logistics operators – for example, complicated registration systems that will make it possible to track the movements of each pallet.